WORRYING about the threats posed by space rocks has traditionally been the preserve of the paranoid. No one doubts that asteroids have hit Earth in the past, with nasty consequences, but because the chances of any such event happening in a given year are so low, most people have been content to ignore the risk.Yesterday, however, a meteorite was seen streaking through the sky above Yekaterinberg in Russia. It hit the ground (possibly landing in a lake) near another city, Chelyablinsk. It is thought to be the biggest meteor to hit Earth in more than a century. The shock wave it caused as it passed overhead blew out windows and injured hundreds of people. Also today, a 50 metre-wide asteroid called 2012 DA14 is zipping past Earth inside the orbit of some man-made satellites, marking the closest shave on record for an asteroid of that size. This pair of unrelated events ought to focus minds, and not just among the small group of astronomers who have been worrying about asteroid strikes for many years. The first line of defence, as always, is knowing your enemy. To that end NASA, America’s space agency, has been watching the sky since 1998, trying to detect any chunks of rock whose orbits bring them close to Earth. These rocks are known as near-Earth objects (NEOs). The agency reckons it has now tracked down around 90% of the very biggest NEOs, the “planet killers” a kilometre or more across. 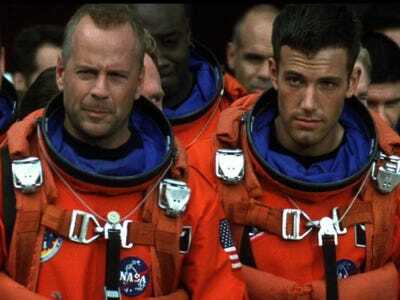 (The asteroid that wiped out the dinosaurs is estimated to have been 7-10km across.) These heavyweights account for around 10% of the 10,000 or so known NEOs. Most, like 2012 DA14, are smaller. This makes them less dangerous, though they would still do a lot of damage if they were to hit a town or city. It also makes them harder to spot. This week’s events give the various NEO-detection efforts involving NASA, the Japanese Space Agency and several universities around the world a good excuse to ask for more money to expand their search. Other researchers, meanwhile, have been pondering what to do if an asteroid is detected that is indeed on a collision course with Earth. 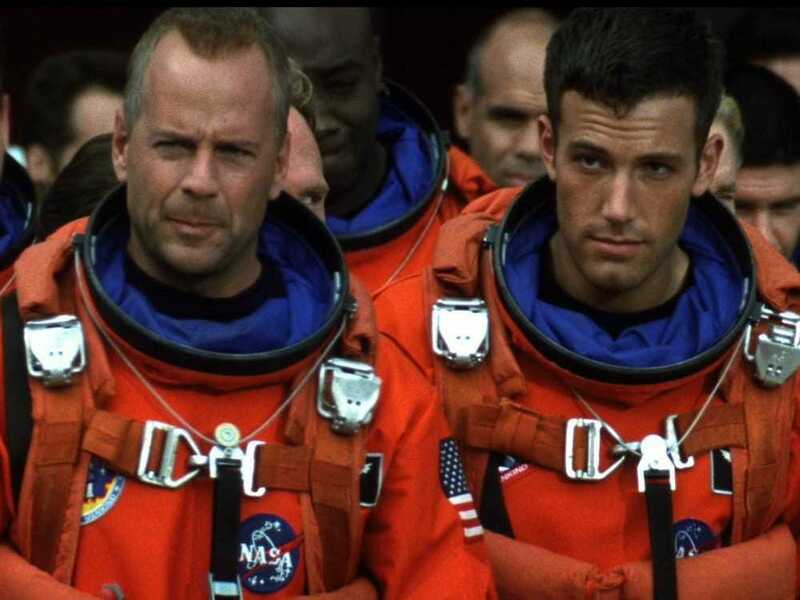 In the science-fiction film “Armageddon,” Bruce Willis leads a team of drillers who blast a dangerous asteroid apart using nuclear weapons, which has the pleasing symmetry of using one doomsday scenario to avert another. But in reality this approach would be problematic. A nuclear explosion might simply fracture a large asteroid into several smaller ones, which could still hit Earth. Legal pedants might also point out that the 1996 Comprehensive Test Ban Treaty bans nuclear explosions in space. There are other approaches. The European Space Agency is working on a mission called Don Quijote that aims to use a large, heavy spacecraft to ram an asteroid out of the way. Nor is violence the only answer: sending a rocket engine to an asteroid could work if the asteroid in question was relatively small and was detected with plenty of time to spare. Another non-violent proposal is to “paint” one side of an asteroid in light or dark colours, tweaking its trajectory via a neat bit of physics called the Yarkovsky effect that describes the way in which sunlight gives celestial bodies a gentle push. Perhaps the most elegant, though least spectacular, solution involves parking a spacecraft called a “gravity tractor” in orbit around an asteroid, and relying on its gravity to tug the rock gently out of the way. On February 14th two scientists at the University of California in Santa Barbara outlined another proposal, called DESTAR, in which solar-powered orbiting lasers would be turned on a threatening asteroid. The system could work in one of two ways. The stream of photons pouring from the lasers on a smallish system, roughly the size of the International Space Station, would be able to alter an asteroid’s orbit over time by giving it a push. But bigger lasers would provide more destructive options. A large version of the system (roughly 10km across) could, the researchers say, vaporise an asteroid 10 times the size of 2012 DA14 over the course of about a year. They claim, perhaps rather optimistically, that their idea is feasible with current technology. But there is one final point that any aspiring asteroid-hunters would do well to consider. In his 1994 book “Pale Blue Dot”, the science writer Carl Sagan pointed out that any technology capable of deflecting an asteroid away from Earth could also be used to place an otherwise unthreatening space rock on a collision course. Supervillains of the world, take note.